As I've shared here recently, we're moving back to the US. We've known this move was coming for a long time, we just didn't know exactly where in America we would be living until recently. I alluded to a decision in this post - I couldn't give specifics at the time but I can tell you now that D got offers from jobs in Tucson, AZ and Green Bank, WV. Those are very, very different places and we had a terrible time choosing between them. D and I felt the pull of West Virginia very strongly. We fell in love with the Appalachian mountains on a on a motorcycle trip down the east coast seven years ago and have dreamed of settling there ever since. We've always wanted to build our own house off the grid and to live off the land as much as possible. D's job there would have let us make those dreams a reality. In the end, for many different reasons, we chose Tucson. We're already in the process of buying a house in Arizona so that we can be settled as soon as possible after the holidays. 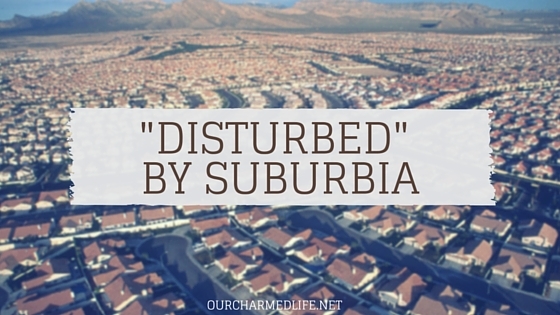 This might surprise you but the house we're buying isn't just in a neighborhood, and it's not just in the suburbs, it's in a "master planned community". Just like on Kwaj, the schools, playgrounds, stores, and all the other things that fill a child's life will be immediately accessible. There will be organized activities and plenty of opportunities to meet other kids and make new friends. D and I are hoping these touches of the familiar will help them, and us, feel at home sooner. manage our family's time, between the swimming club and soccer practices we've already signed the kids up for to the activities that D and I want to get involved in. Can we stay on our budget once we're surrounded by everything we've wanted to buy for the last six years? Nothing about this new life in Arizona will be familiar for any of us (new jobs, new school, new climate) but we're stepping into it as a family, with the same forward looking optimism that we take with us on every new adventure. Touching post, Amber! And I totally relate having not too long ago taken a similar journey as you all are about to embark from the islands to the states. Best wishes to you and the family during this transition. It's going to be a wonderful new adventure! Thanks Susannah! I love your posts- they're always so thoughtful. We're excited for the move- any suggestions for us? What a lovely post. I am from Arizona! Grew up there, and moved to Denver, and now we live in Suburbia, too:). Life takes us different places and we learn new things everywhere. Thanks for your post. Isn't it interesting how we can end up in the last place we expected? We're excited to see how our lives shake out in Arizona- I think the kids in particular will really enjoy it. Thanks for stopping by! What a beautiful post, Amber! It's great of you to share the main message of the poem. Sometimes we have to step out of our comfort zone and challenge ourselves in our lives. It'll be difficult and it'll certainly present some challenges, but it will leave us feeling that much stronger, and that's what truly matters, right? Thanks so much for sharing this inspiring piece with us on #SHINEbloghop. We're so happy you were able to join us this week. Hi Maria, Thanks for stopping by and for hosting the bloghop- it's one of my favorites. I'm glad you liked the post and how I incorporated the poem. I thought that would be a better way to share it, rather than just linking up to it.